In Propertybase version 1.491 we've completely redesigned the Matching feature. This article will walk though the process of configuring Matching to work in Propertybase accounts upgrading to 1.491 or later. How do I know if I have the new Matching feature? If you see a "Matching" tab (next to Details, Related), you do have the newest Matching feature. Already have the new Matching? Click here to learn more about this new feature. Before you can configure the new Matching feature, you must be on the latest version of Propertybase. Click here to update your Propertybase account. Before installing the new Matching feature, we need to remove the old one. Click the gear icon in the top right menu and then click Edit Page. 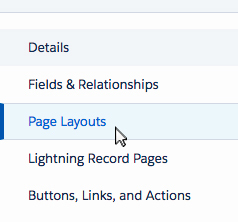 Click the Matching tab in the Lightning App Builder. Delete the Matching tab by clicking the "x" to the right of the label. To configure the new Matching feature, we simply need to update our page layouts for Inquiries and Listings. Select the old Matching feature by clicking anywhere inside the feature.. Inside the right column, enter the values for Label (blank), Visualforce Page Name and Height as they appear in the screenshot below. Next we need to update the page layout for Inquiries. Next, click on the left tabs (Related, Details). 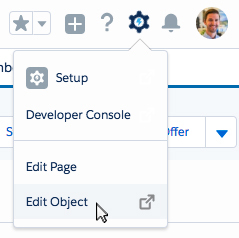 Click the new tab and in the drop down that appears, change the Tab Label from Details to Custom. A new textbox will appear, type Matching. Click Done. On the left side of the screen, click the new Matching tab. Drag a Visualforce component (under the left side Standard list) to where is says Add Component(s) Here. Lastly, we need to configure Matching for Propertybase mobile. You should still be on an Inquiry record page. Click Page Layouts in the left hand menu. On the next screen, click Request Layout. 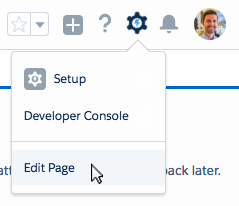 At the top of the page, click Visualforce Pages in the grey box. Drag 'Inquiry Matching' from the grey box at the top of the screen, down to the Mobile Cards area. Scroll to the top of the page and click Save. Done! You have successfully installed the new Matching feature.